Hello fabulous 36th Avenue readers! 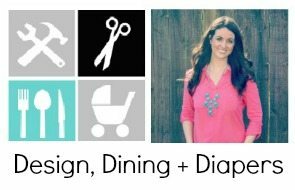 I’m Taryn from Design, Dining + Diapers and it’s always an honor to be here sharing a fun new project with all of you! A few weeks ago I had the pleasure of meeting Desireé at SNAP and I have to tell ya, she is even more amazing in person that she comes across on her blog and I didn’t even think that was possible! She is seriously the greatest and I am truly humbled to be a contributor for her! Right now, I am in the middle of a kitchen remodel so naturally anything kitchen related is at the top of mind. 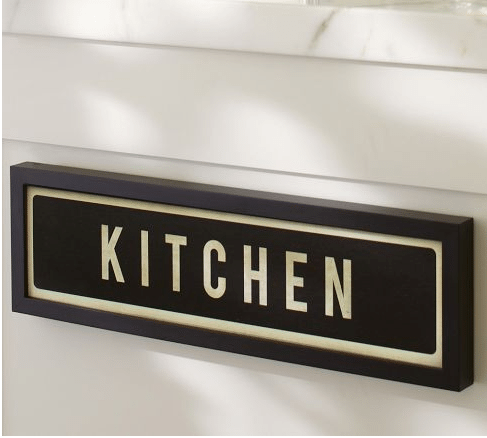 I’ve been browsing online like crazy looking for ideas and I was so excited when I stumbled upon this awesome kitchen sign from Pottery Barn. 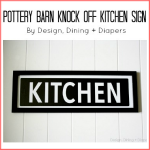 The only issue is that it is a whopping $79 and I just couldn’t bring myself to spend that much money on a little sign, so I bet you can guess where I am going with this… yes, I decided to do a little knock off project and share it with all of you! 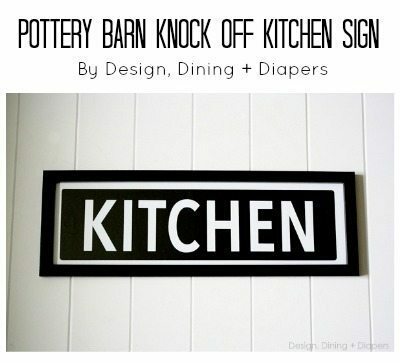 Here is the original sign from Pottery Barn that first inspired me. So cool, right?! But is it worth $79? 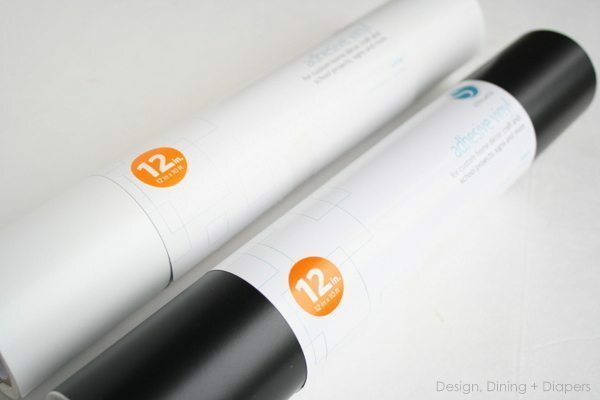 Are you ready to learn how you can make it for a fraction of the cost? 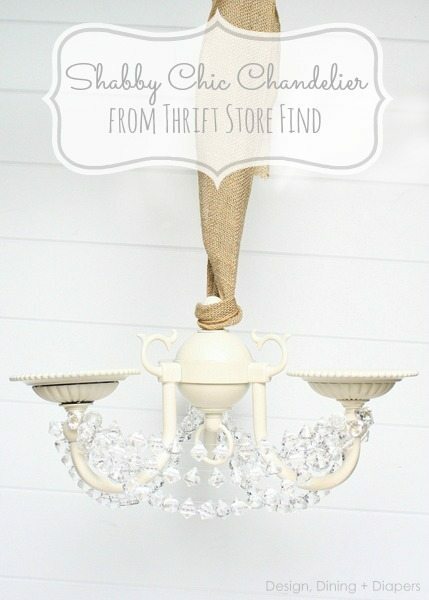 so this turned into both an upcycle and knock-off project for me! Bonus. Next, I purchased my black and white Silhouette Vinyl and I was ready to roll. 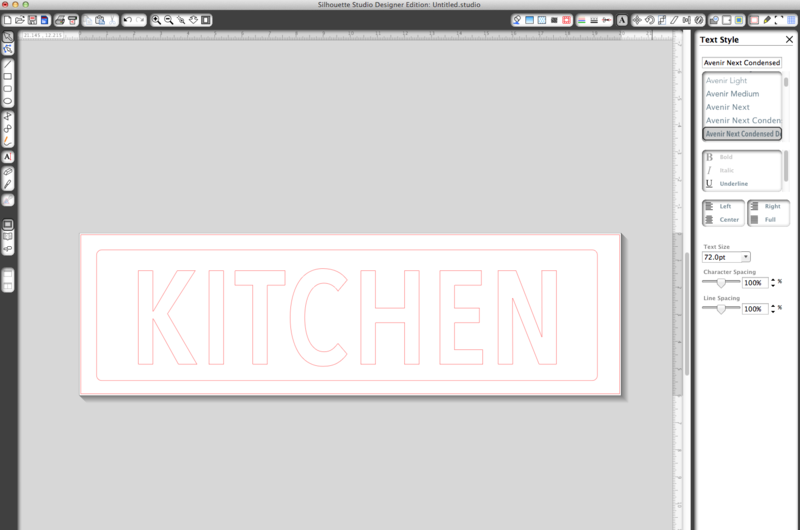 The original PB sign uses a cream background, but I changed it to white to better fit the style of my kitchen. I started by covering a piece of heavy tag board in the white vinyl and cut it to fit the size of the frame. Then, in my Silhouette program I created the graphic for the sign using Avenir Next Condensed Demi Bold font in all caps, size 354. I drew a boarder around the letters with a curved edge to really complete the look. 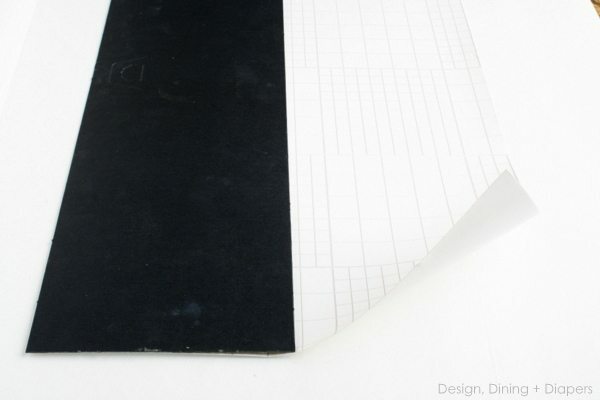 Once your design is complete, cut the design onto your black vinyl. 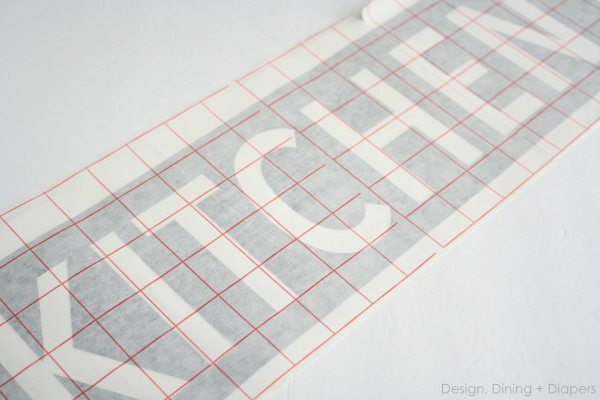 Using transfer paper, carefully apply the black vinyl directly onto the board covered in white and gently peel off the transfer paper. Place it back in the frame. It is really that easy! 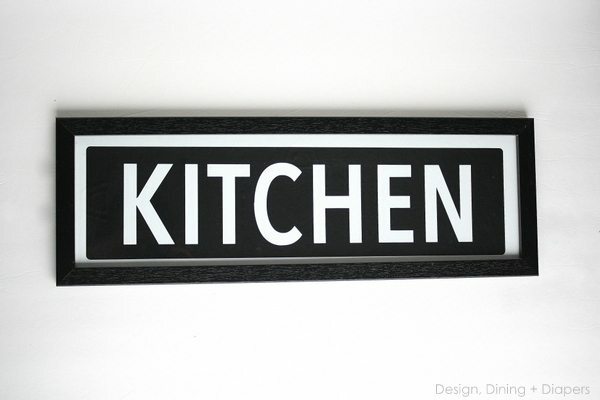 And now you have your very own industrial kitchen sign for a fraction of the cost! 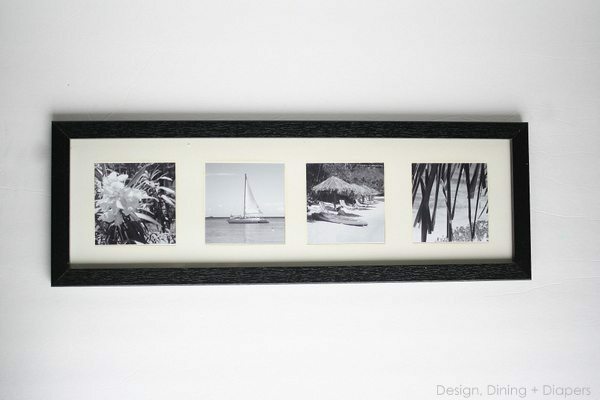 Because I already had a frame on hand, I only spent around $4 for this project, but it may run you a little more depending on the quality of frame that you buy. Thank you for having me over today! It was so much fun to finally meet her personally at Snap… I adore her! 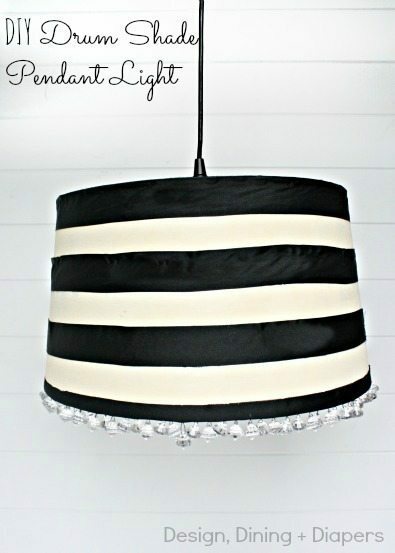 I want to invite you to stop by her blog and enjoy her DIY fantastic projects there. 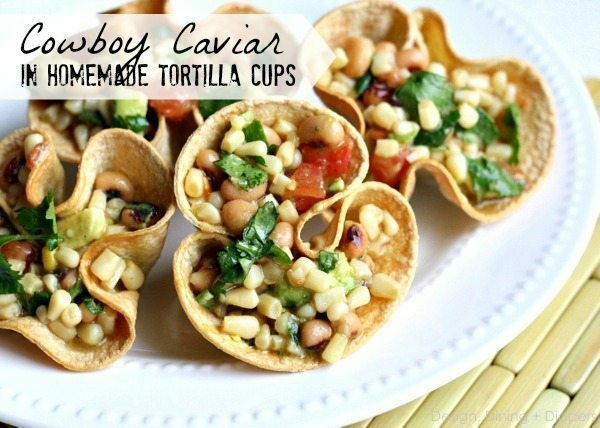 And if you are hungry check out this Cowboy Caviar in Homemade Tortilla Cups. I like yours better than the PB one Taryn! Super cute. Miss ya girl. 🙂 I bet it looks great in your kitchen Taryn! Knock offs are the best. So satisfying to save the money AND having the satisfaction of doing something with your own 2 hands. I love this- I really need to get a Silhouette. I’m so inspired. I know! She did such a great job… Have a wonderful weekend Gina! Thank you so much Gina! And I highly recommend a Silhouette, totally worth the money! LOVE it! What a great knockoff and thanks for the tutorial! She is great and we love her! Have a beautiful weekend Leslie! Great idea! So simple to create, but looks awesome. Perfect knock off!